Grimner | FROST MOT ELD SUMMER TOUR! 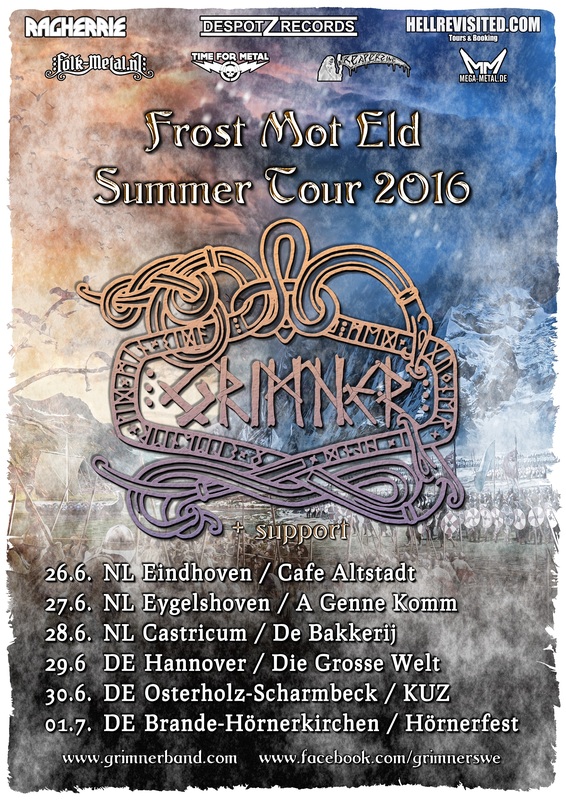 It is with great happiness Grimner announces the Frost Mot Eld Summer Tour! This summer Grimner is coming to Netherlands and Germany a couple of great battles, raids and plunders. Hope to see you on the road! Support bands will vary between the shows and countries. Grimner will be supported by: Vanaheim, Stailinn Drakk, Wrathheim, Skaldenmet + TBA. Hope to see you on the road!